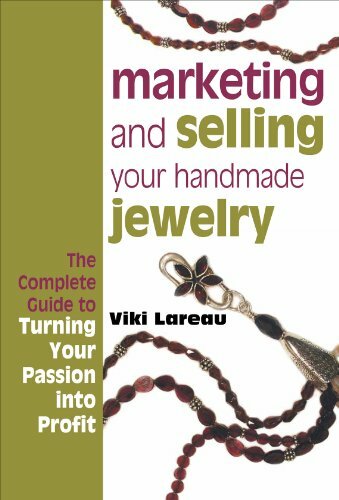 [PDF] Marketing and Selling Your Handmade Jewelry | Free eBooks Download - EBOOKEE! Description: A majority of women who take up beading as a hobby end up selling their work - at home parties, craft fairs, fine galleries, or on eBay. Marketing and Selling Handmade Jewelry provides the practical advice and encouragement to do it right and do it with flair. First step: Match your design style and time commitment with the most appropriate target market. Second step: Learn the nitty-gritty of setting up a home-based business. Third step: Develop a distinctive "look" for brochures, ads, hang tags, show signage. Last but not least: Master the fine art of pricing for a profit. The reader will revel in the success stories of women who have made it work. Viki Lareau, co-owner of The Bead Factory in Tacoma, Washington, and co-founder of the Puget Sound Bead Festival, has mentored hundreds of beaders and jewelry-makers on their way to success. This book is a compilation of her knowledge, wisdom, and experience - an essential business guide for creative jewelry artists. No comments for "[PDF] Marketing and Selling Your Handmade Jewelry".